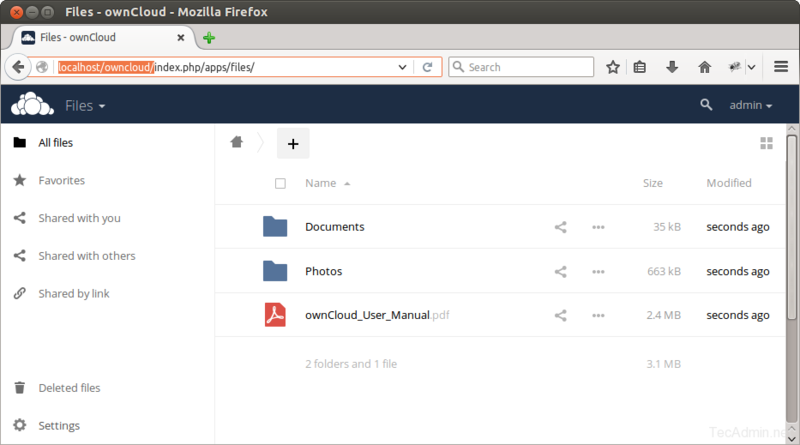 This tutorial will help you to install ownCloud 10 on Ubuntu 18.04 LTS & 16.04 LTS systems. 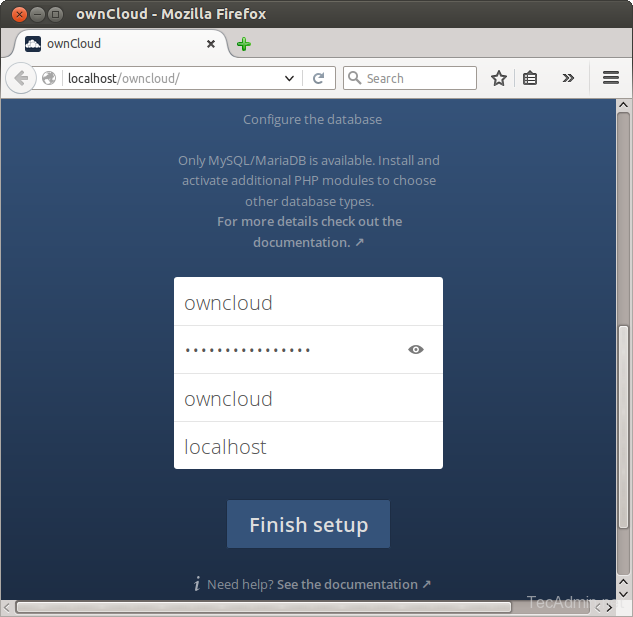 After successfully configuring lamp server on your system, Let’s download latest ownCloud from its official website. “Can’t write into config directory! 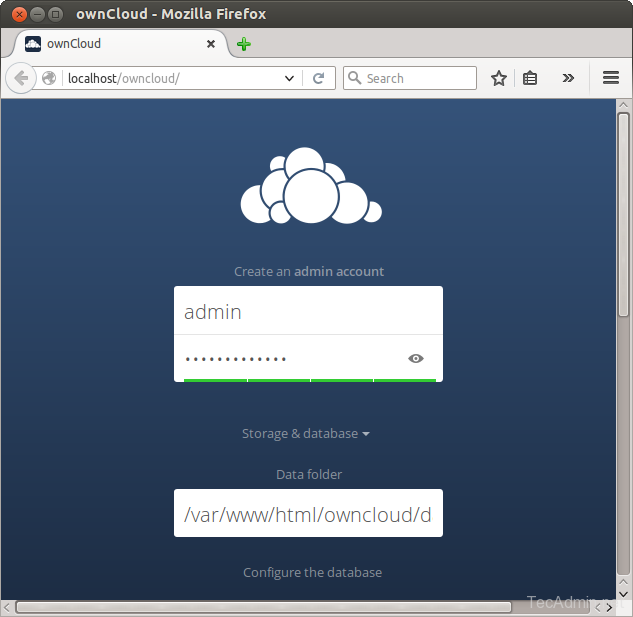 Now access this file in the browser and check MySQL is enabled there. You have to restart PHP (or your server). Attempt with php7, etc all fail. Cool but it really needs updating as it’s now php7. php5 has no release candidate. 1) On the step with the heading, “Installing MariaDB as MySQL replacement,” DO NOT follow the instructions to press Enter when you see the prompt, “Enter current password for root (enter for none):,” and the instructions are given, “<– press enter." Rather, enter whatever password you want to be root. It will tell you this is unnecessary, but do it anyway; it didn't work without doing this, and other sites I found specifically pointed out this error. 2) On the step with the heading, "Install phpMyAdmin," on the bit about "MariaDB enables a plugin called 'unix_socket'": If you're on the machine with the LAMP server, do NOT enter the command beginning "echo." My phpMyAdmin install is working well without this step, and on a previous attempt, this seemed to be the step that killed the functionality. Thanks Sputnik for pointing typo. Its corrected now. Any help would be appreciated. If you can dumb it down, that’d be great. I’m still in the linux learning phase. Really enjoy following this site via RSS, and thank you for all the well laid out tutorials!